Like just about every postwar all-wheel drive vehicle, the genesis of the original Land Rover is based upon the success of the World War II Jeep (Ford GPW & Willys MB). In the case of the Land Rover, its introduction at the 1948 Amsterdam Auto Show set the mold for decades to come. Powered by the 1595 cc inline four from the Rover 60 automobile, the Land Rover initially had a boxy alloy body with its narrow set headlights and wire mesh grille and was only available as a compact pickup. By 1949, it was joined by a wagon, which eventually saw the brunt of production. Extended wheelbase and four-door models were introduced in 1955 and 1956, respectively. The Land Rover Series II was introduced in 1958, boasting a new 2.2-liter four and a slightly wider track. To cover up the latter, the body sides featured a curved upper edge that became something of a Land Rover trademark. 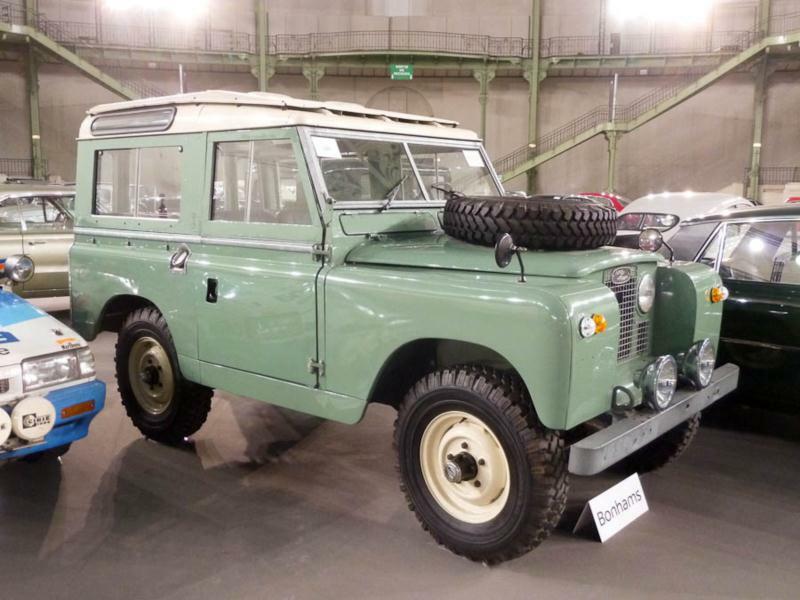 A diesel also became available, initially at 2052 cc but bumped up to 2286 cc in 1961 when the Land Rover Series IIA was introduced. For 1967, an optional 2625 cc inline six joined the option list. Other options that have since become desirable for collectors include soft tops and the Safari roof (an addition roof panel mounted over the roof of the hardtop wagon, to help insulate it from the sun). For the 1969 model year, the headlights moved outboard, from just inside of the front fenders to centered in the front fender panels. As several countries changed their headlight regulations around this time, including the United States, all Land Rover Series IIAs regardless of global market reflected this change. The Series IIA continued through the introduction of the series III in 1971.